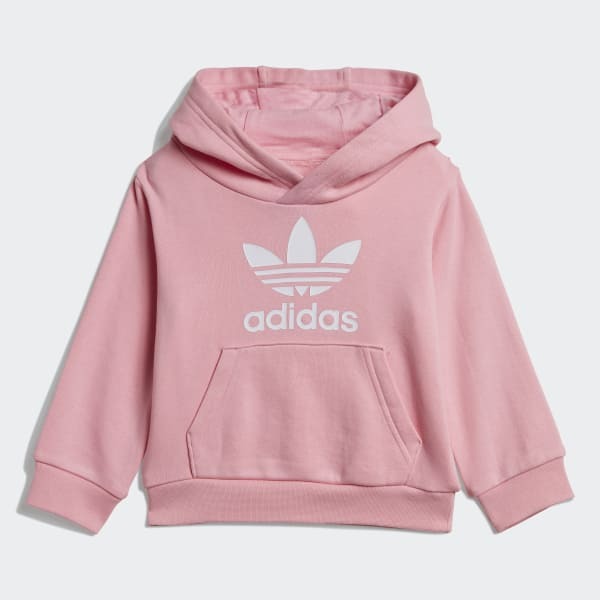 An infants' set made with authentic adidas Originals style. A timeless sports look that's built for comfort. This infants' two-piece set comes with a hoodie that flashes a big Trefoil logo. The pullover and pants are both made of French terry for a soft, plush feel.